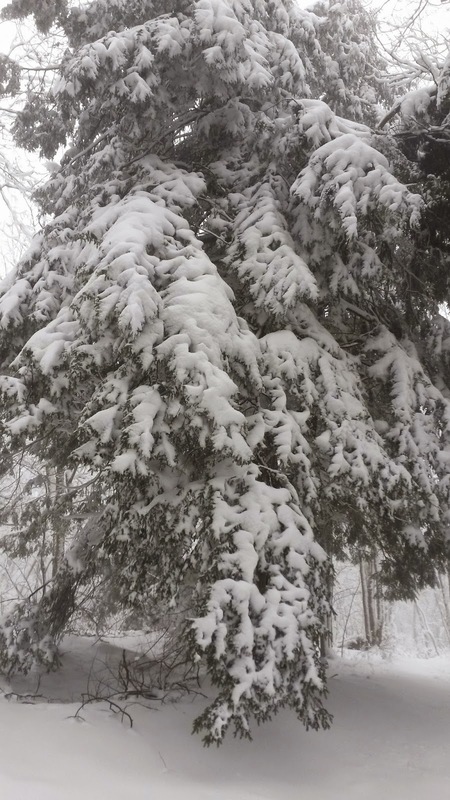 Tuesday, although there was no snow on the trees and not much left on the ground in Great Barrington, by the time I got to Olivia's Overlook in Lenox, there were a few inches of snow on the ground. 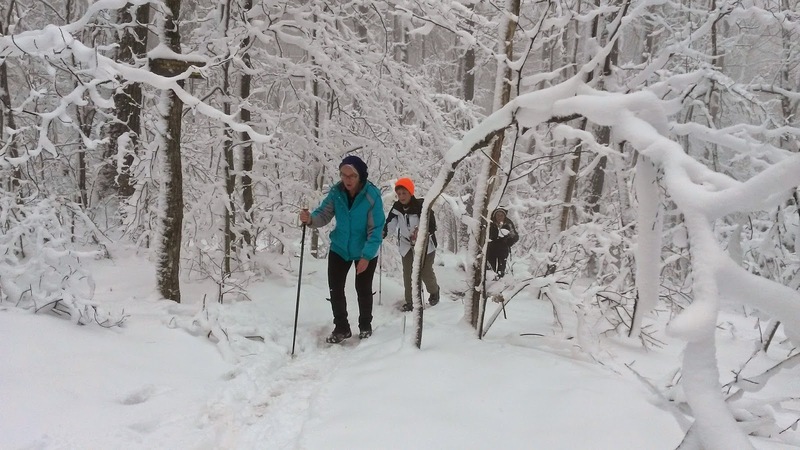 We hiked the Brother's Trail, Old Baldhead Road and the Ridge Trail. It was spectacular how in some sections the snow clinging to the branches was almost four inches deep, and in other sections the branches were bare. In one spot, I looked to the right and the trees had no snow, and on the left they were covered with a thick layer of snow! 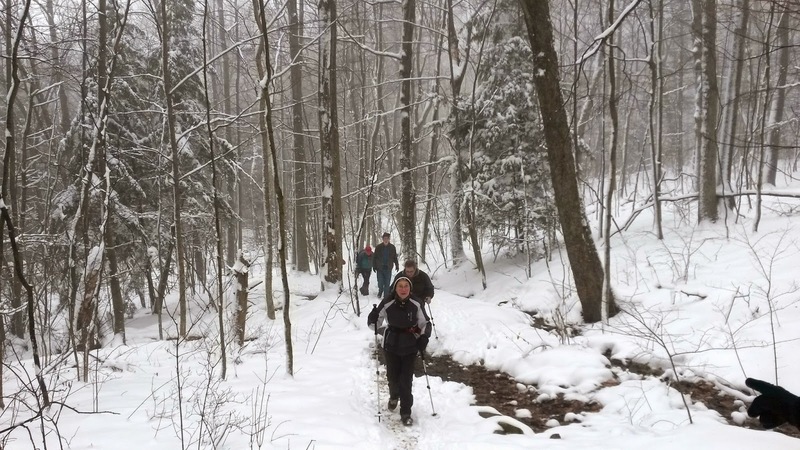 A great hike--you never knew what would be around the next bend! The snow sticking to the branches was magical! 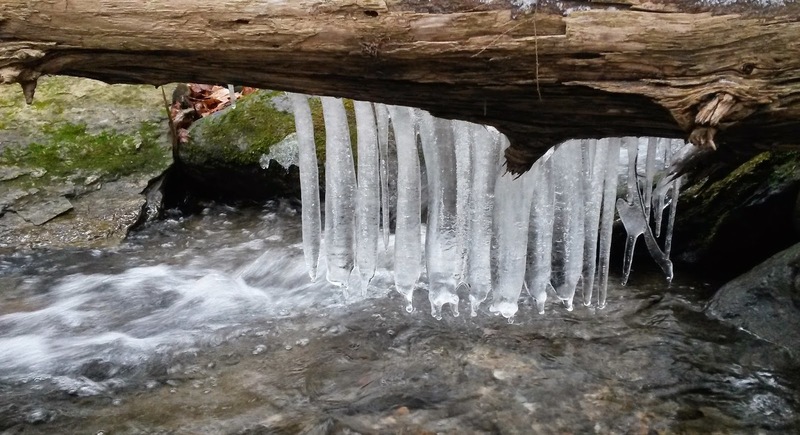 A curtain of icicles hung from a log spanning the brook. 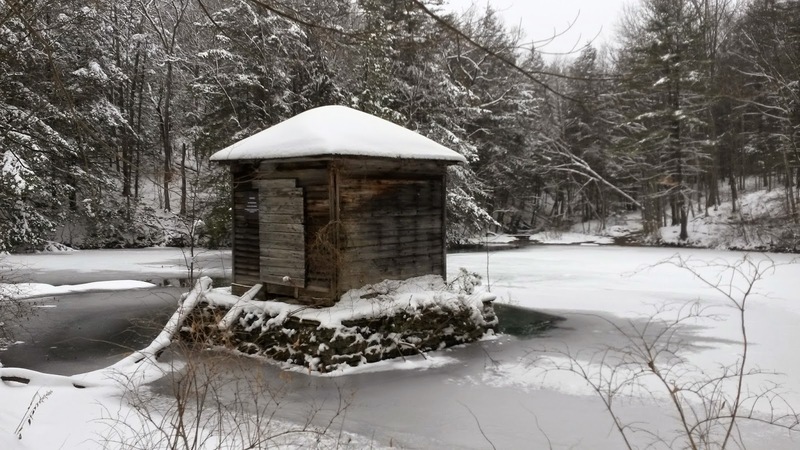 Monk's Pond was mostly frozen. I loved the monochromatic scenery. although only a few inches were on the ground.